Sarah and Austin have been married a little over three years, and their love for one another is so evident as soon as you are around them according to Atlanta wedding photographer A. THOMAS PHOTOGRAPHY who captured them in this beautiful Cotswold inspired anniversary shoot. When stylist Christina Brockman of HUCKLEBERRY COLLECTIVE and Abigail began brainstorming ideas for an anniversary shoot, these two immediately came to mind. "We love to celebrate couples not only on their wedding day, but throughout the years as they continue to choose one another, every day." When Abigail asked their bride Sarah, what she feels is the biggest thing she has learned in the three years of her marriage, she stated, "On the day we got married, I though my heart was as full as it could be. As time went on, I realised that going through the struggles and joys of life within the context of marriage just increases the depth and value of that love. Sometimes, I wonder if I am a completely different person since we got married, but the I came to the conclusion that I have just found and become increasingly more confident with who I am because of the comfort I find in being Austin's wife. In short, I love our weirdness our adventures, and seeing the ways we continue to learn to love each other better. I simply love building a life with him." Abigail tells us, "The vision for this shoot really came out of the inspiration Christina drew on her recent travels to Europe-the lush florals, the delicate details, and the rich table settings all influenced the design. 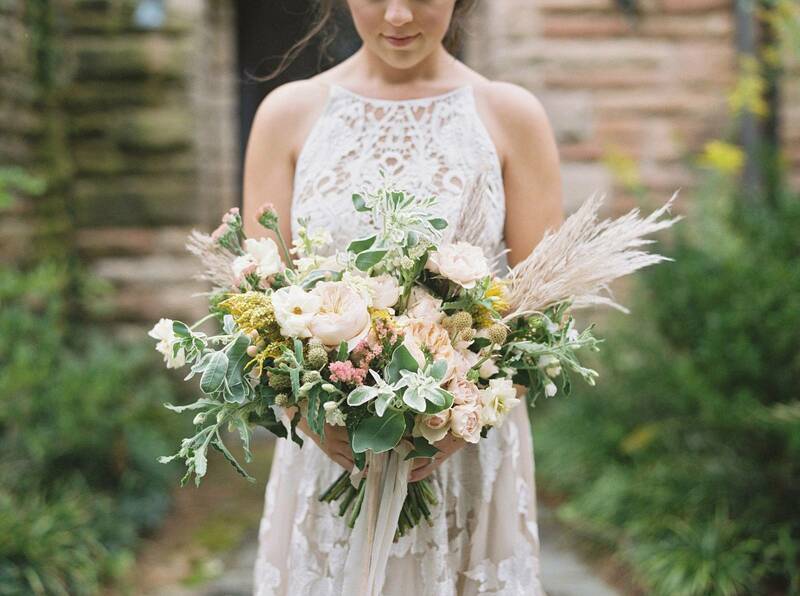 With pampas grass, Juliette roses, and eucalyptus, the floral work really embodied the wild nature of the session. Set on a private property that feels like you could stumble upon it in the wild English countryside, the rainy forecast and stunning views all came together to create a romantic and rich feel among the thorns. 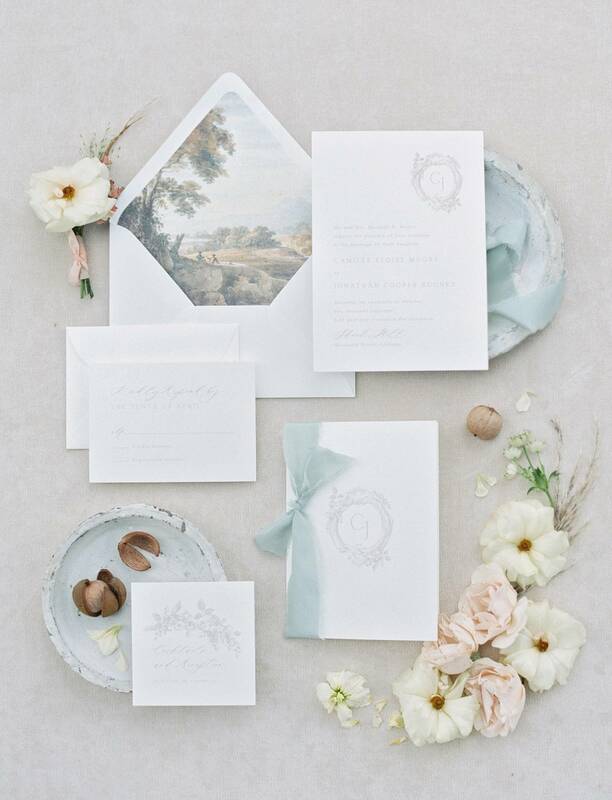 The tone for the day was set immediately by the invitation suite, created by EMPRESS STATIONERY. A delicate crest paired with stunning, handmade landscape details combined to create an European flair from the get-go. 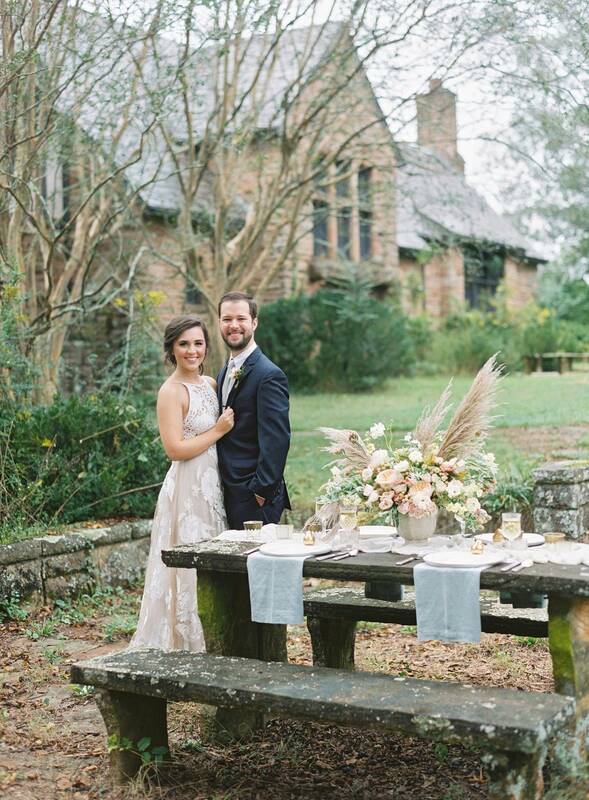 Sarah was breathtaking in a new RUE DE SEINE dress from VILLAGE BRIDAL HOMEWOOD, and her hair and makeup by DANIELLE IVY embraced the wild nature of the setting. 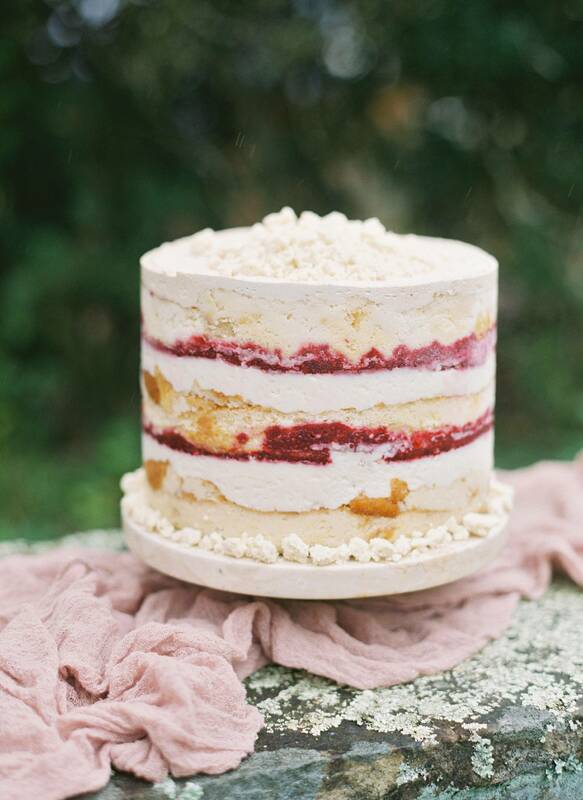 An incredible mascarpone and raspberry cake from DAUGHTERS BAKING was the embodiment of rich, lush flavours. The crest created by EMPRESS STATIONERY was carried over into personalised cookie "favours" from REA BAKES, and the shoot was tied together with handmade dinner plates from SUSAN GORDON POTTERY." A huge thank you to Atlanta wedding photographer A. THOMAS PHOTOGRAPHY for sharing this beautiful Georgia wedding with us. Abigail is a valued member of the Magnolia Rouge Vendor Guide where you can see more of her work. You should also check out this Plantation wedding inspiration with an old Hollywood vibe by her or this interview to get to know more about her.